Up-and-coming organizations today, realize the importance and strategic value of a well-designed Compensation Program as a competitive tool in attracting, retaining and rewarding highly competent talent. Not only is it extremely important ‘how you manage’ your employees, but it vital to your organization’s success to align ‘how you pay’ employees with your business plan, financial goals and market conditions. The key objective of The Compensation Company is to do exactly this. We want to ‘take the worry out of how your employees are paid’. Our well-designed programs, tailored specifically to your organization, allow you more time to focus on other important issues – growing business and being prosperous. The Compensation Company offers consulting services to design merit-based or seniority-based pay systems that link with market conditions and your organization’s financial plan. Our services include examining your current pay practices, collaboratively identifying your needs and establishing a plan of action to develop a program that attracts, retains and rewards highly competent talent to your organization. It is good practice to regularly take a snapshot of the market to ensure that your organization maintains its competitiveness. The Compensation Company designs custom market surveys that are distributed to potential participants within your sector. We work closely with you to identify your key benchmark jobs and develop a list of potential participants. Over time, salary structures and pay grids may lose their ability to attract, retain and reward highly competent employees. Parity to market is key in maintaining competitiveness to attract highly competent candidates. The Compensation Company provides consulting services to align your salary structures and pay grids to market conditions while ensuring maintenance of internal equity surrounding your jobs. 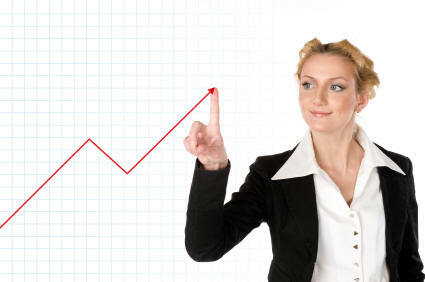 Job evaluation is a process that measures the worth of a job within an organization by assigning values to jobs. The Compensation Company designs point-factor job evaluation plans that include the four key factors of Skill, Effort, Responsibility and Working Conditions in accordance with Pay Equity legislation. The evaluation of jobs in organizations is often done within a committee framework. The Compensation Company provides training to Job Evaluation Committees (Union and Non-Union) ensuring consistency in the application of the Job Evaluation Plan. In 1987, the Ontario government passed the Pay Equity Act. The Act describes the minimum requirements for ensuring that your compensation practices provide pay equity for all employees in female job classes. The Compensation Company has extensive consulting expertise providing organizations (Non-Union and Union) with services to maintain pay equity, retroactively analyze whether pay equity exists within organizations and respond to Pay Equity Commission inquiries relating to pay equity plan(s). The Job Questionnaire captures detailed job-related information about the responsibilities, duties and competencies of the job as it currently exists today. The Compensation Company develops job questionnaires for distribution to your employees. Employees are asked to complete the Job Questionnaire taking into consideration what is required in the job (not personal characteristics which they have). The information contained in the job questionnaire is used to develop Job Descriptions or evaluate jobs in your organization. Most employees want to know what is expected of them in their job and how they will be evaluated in order to earn more pay. A job description typically sets out the responsibilities, duties and competencies required in the job. It is a tool that you can use in order to create performance criteria. It also helps with recruiting highly competent employees within your organization. Change is a factor of life, especially in the business world. Businesses adapt to up-and-coming market conditions in order to maintain competitiveness. Jobs must adapt to reflect the business needs and employees are often required to perform different tasks. The Compensation Company offers consulting services to re-align jobs in changing work environments. The Compensation Company provides consulting services to develop performance programs and measures that assist with motivating and rewarding employees. These programs define what is expected in the job, competency measures, evaluation criteria and development opportunities.